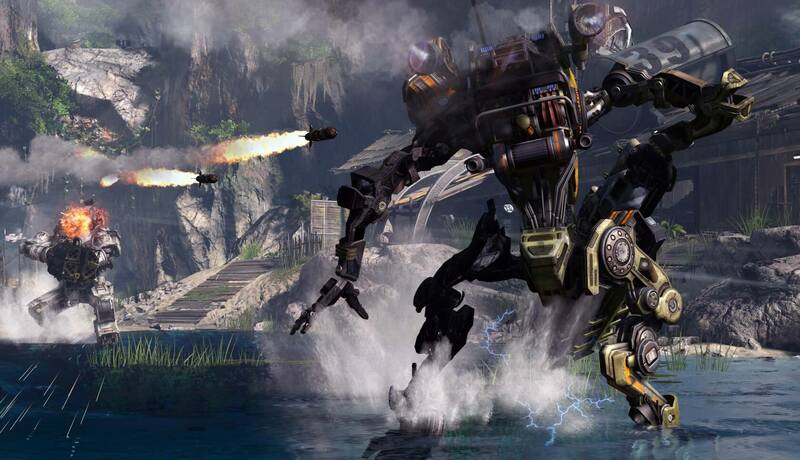 Despite all the praise and excitement surrounding the surprise launch of Apex Legends, Respawn's latest hero-based, royale-flavored title, many fans of Respawn's previous work on the Titanfall series have been left feeling disappointed. In their eyes, not only has Respawn not been working on Titanfall 3 for all this time, but they're jumping on the bandwagon that is battle royale games. Whether you agree with that sentiment or not, Respawn didn't exactly soothe fan fears immediately following the launch of Apex Legends. Indeed, one of Respawn's producers recently confirmed that Titanfall 3 was not in development, which seemed like the final nail in the coffin for the beloved (but troubled) series. However, there may be good news now. Although Titanfall 3 is technically not in the works, that doesn't mean other Titanfall-themed projects aren't being planned. Quite the opposite, in fact. During a recent Q3 2019 earnings call, Respawn publisher EA's CEO Andrew Wilson confirmed that a "premium game" in the Titanfall universe is slated for release later this year. For the uninitiated, "Premium" is publisher lingo for a paid game, usually priced at $60 - so the title is most likely not going to be a mobile title or another microtransaction-supported free-to-play romp like Apex Legends. While we don't know exactly what form the game will take, we're excited to find out. Given that E3 is kicking off in a few months, we'll probably get our first glimpse of Respawn's latest project there.